::: Home > Member Introduction > Dr. Wei-Chun Chao, Assistant Prof.
PhD teacher in Department of Life Science, National Taitung University, Taitung, Taiwan. Visiting Scholar in The Ecosystems Center of the Marine Biological Laboratory, MA, USA. Postdoctoral researcher in Institute of Ecology and Evolutionary Biology, National Taiwan University, Taipei, Taiwan. Chao, W.-C., S.-H. Wu, S.-W. Fan, H.-Y. Lin, C.-F. Hsieh, and K.-J. Chao*. 2008. Distribution Patterns of Tree Species in a Lowland Rainforest at Nanjen Lake, Southern Taiwan. Taiwania 53: 124-133. Chao, W.-C., K.-J. Chao, G.-Z. M. Song, and C.-F. Hsieh*. 2007. Species composition and structure of the lowland subtropical rainforest at Lanjenchi, Southern Taiwan. Taiwania 52: 253-269. Chao, W.-C., S.-H. Wu, H.-Y. Lin, C.-F. Hsieh, and K.-J. Chao*. 2007. Distribution Patterns of Tree Species in the Lanjenchi Lowland Rain Forest. Taiwania 52: 343-351. Chao, W.-C. 2006. Introduction of forest dynamic plots of the world. Forestry research newsletter 13: 25-29. Fan, S.-W.*, W.-C. Chao and C.-F. Hsieh. 2005. Woody Floristic Composition, Size Class Distribution and Spatial Pattern of a Subtropical Lowland Rainforest at Nanjen Lake, Southernmost Taiwan. Taiwania 50: 307-326. Hsieh, C.-F.*, W.-C. Chao, C.-C. Liao, K.-C. Yang & T.-H. Hsieh. 1997. Floristic composition of the evergreen broad-leaved forests of Taiwan. Natural History Research, Special Issue 4: 1-16. Chao, W.-C., K.-J. Chao, S.-H. Wu and C.-F. Hsieh (2008). Spatial patterns of tree species in the Nanjenshan lowland rainforests in Taiwan: insights into monsoon wind effect. 51nd IAVS symposium, Stellenbosch University, South Africa. Chao, W.-T. and C.-F. Hsieh (1999). Distribution patterns of tree species of the lowland rain forest of the Nanjenshan LTER site in southern Taiwan. The 3rd International Conference on Long-Term Ecological Research (LTER) in the East Asia-Pacific Region Sejong Cultural Center, Seoul, Korea. Chao K.-J., W.-C. Chao, G.-Z. M. Song and C.-F. Hsieh. 2008. Tropical lowland rainforests in Taiwan and Lanyu: the northernmost Paleotropics under stress of monsoon. Cross-strait seminar on forest dynamics plot, Hangzhou University, China. Chao, W.-C. and C.-F. Hsieh. 2008. Spatial patterns in the forests of the southernmost Taiwan. Cross-strait seminar on forest dynamics plot, Hangzhou University, China. 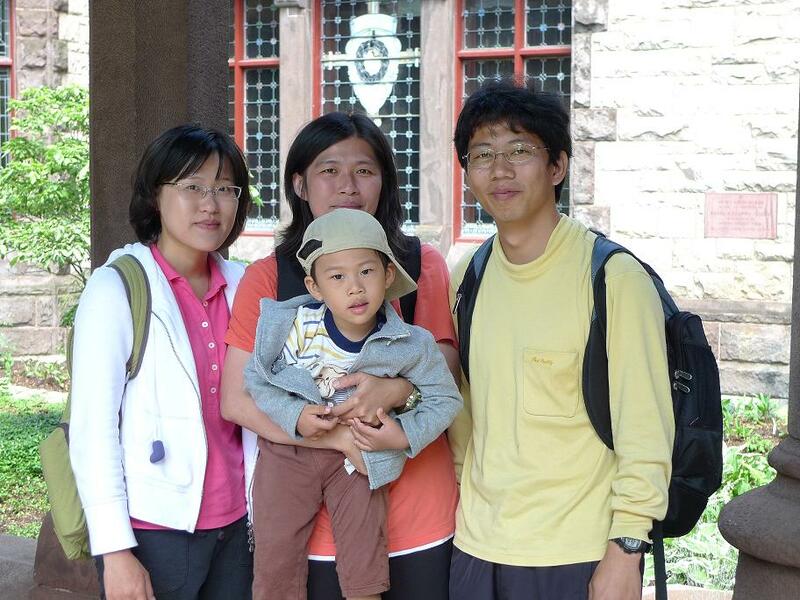 Chao, K.-J., W.-T. Chao and C.-F. Hsieh (2008). Vegetation of the lowland tropical rainforests in Taiwan. 51nd IAVS symposium, Stellenbosch University, South Africa.